Spray 2- to 3 1/2-quart slow cooker with cooking spray. Make cake batter as called for on box. Pour batter into slow cooker. Cover; cook on High heat setting 2 to 2 1/2 hours or until toothpick inserted in center comes out clean. 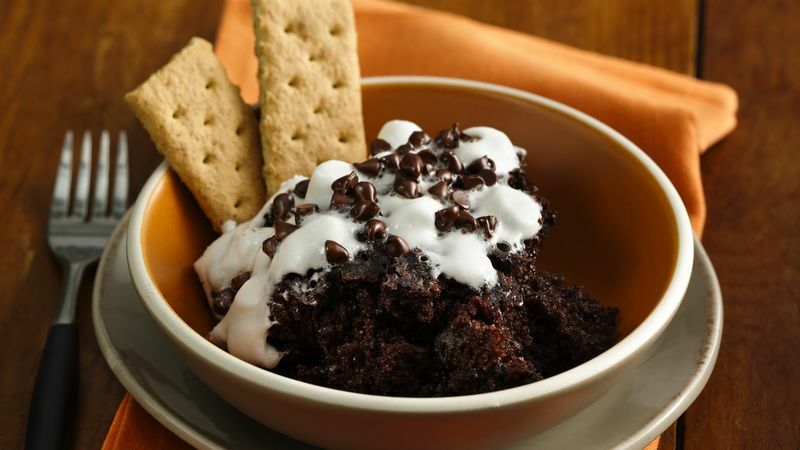 Turn off slow cooker, and sprinkle marshmallows and chocolate chips over top of cake. Cover 10 minutes. Spoon warm cake into dessert dishes, and serve with graham cracker squares. Different slow cookers can take longer for the cake to cook. Start checking at about 2 hours. You can also top with whipped cream or ice cream!